By 2019, global programmatic ad spend will reach US $37 billion, accounting for half of display and video expenditures. As the reach and influence of programmatic expands across channels and covers a greater swath of available inventory, marketers everywhere will be compelled to adapt. Find out how to manage new technology, growing channels, and shifting customer data and efficiently reach customers. 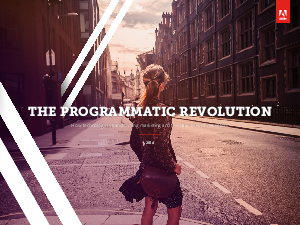 Adobe presents solutions to strip away the complexity of programmatic advertising.